LEDGlow’s Purple LED Golf Cart Underbody Light Kit creates a unique purple underglow to any golf cart using (4) 24” flexible tubes, a control box and wireless remote! 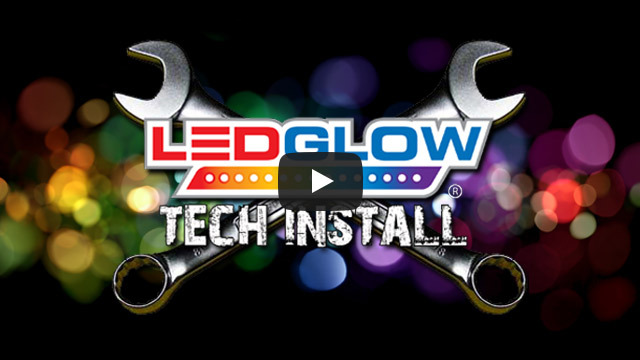 LEDGlow's Purple Golf Cart Underglow Kit features 84 SMD LEDs housed in (4) 24” tubes that are installed to the undercarriage of any golf cart. The all new wireless remote allows you to select from a collection of modes that include solid color illumination, 3 fade modes, 3 strobe modes and a sound activated mode that reacts to the music playing from your golf cart using the built-in microphone. The wireless remote features an operating range of 50’ giving you more than enough area to control your kit while on the green or campground. I received the kit and found everything accounted for. The LED strips were easy to install and were good quality. I was wanting to have the lights on steady without the chasing etc. of the controller. The instructions did not give me an option for this. I called customer service and they advised me to bypass the controller and install my own on off switch, which I did and it works great! I think this should be addressed in the instructions if you want this option. I installed the PURPLE golf cart lights about a month ago. So far they are fun. We had the wife’s golf cart painted purple for her birthday. We added the LED Glow lights as a fun item. We really enjoy them. The cart is regularly driven over rough ground and they have held up fine. I believe the flashing adds safety at night. The only issue (if you want to call it that) is that there is not a “steady” setting. You can pause the slow flash but I would have thought it would have a “steady” option. I am considering getting this for my Toro Workman 3100. The whole family likes it.